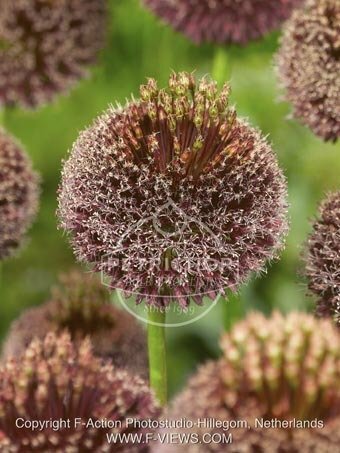 An interesting allium with a tight dark maroon flower, with a white tuft on top once the flower is open. A very nice late flowering variety. Bee friendly.